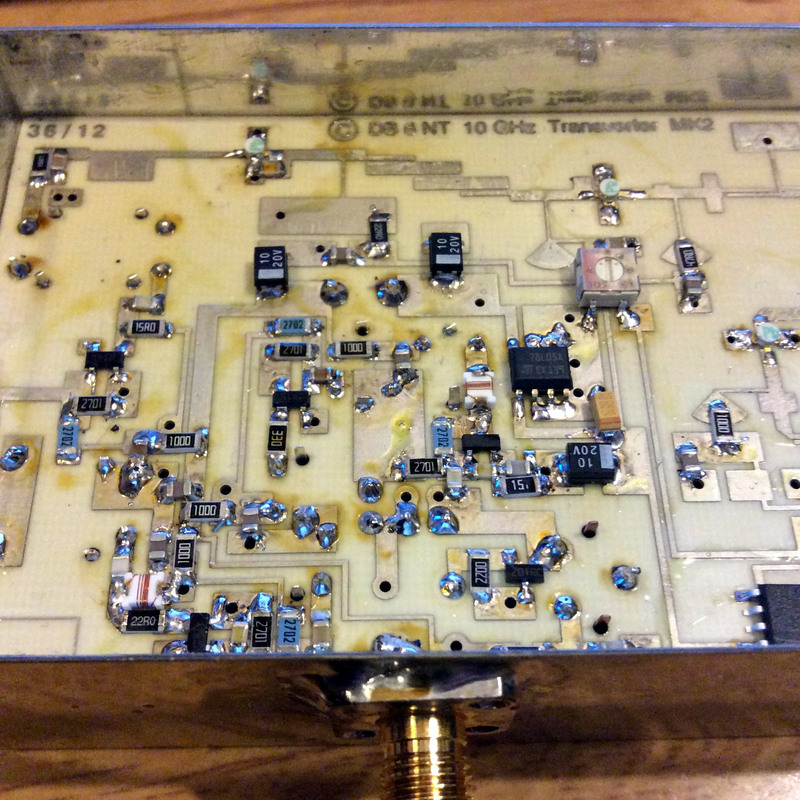 Making steady progress with building the DB6NT 10GHz transverter board. Hand-soldering it under the microscope rather than reflowing with solder paste. Just the protection diode and some jumper wires to fit, then a good clean-up to remove the flux residues and a good drying-out and it will be time for the smoke test! 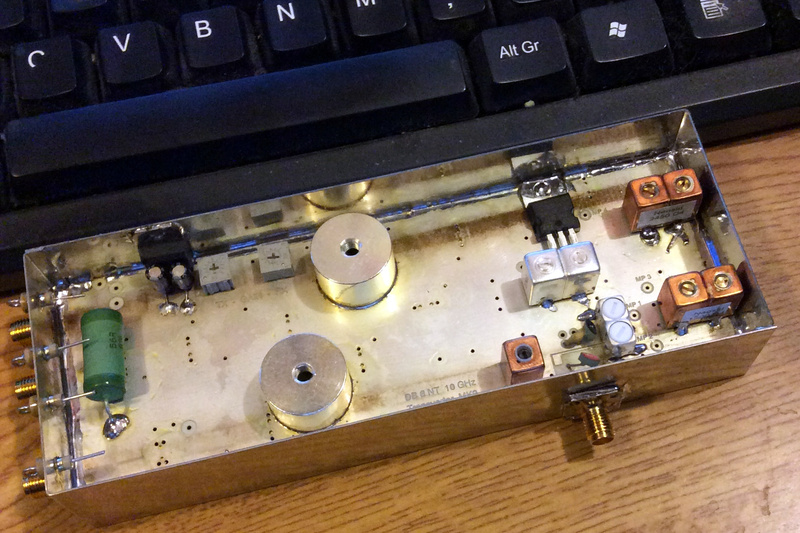 This version takes a synth LO input at 106.5MHz, there is no crystal. Should make about 23dBm out and have a noise figure around 1.2dB. 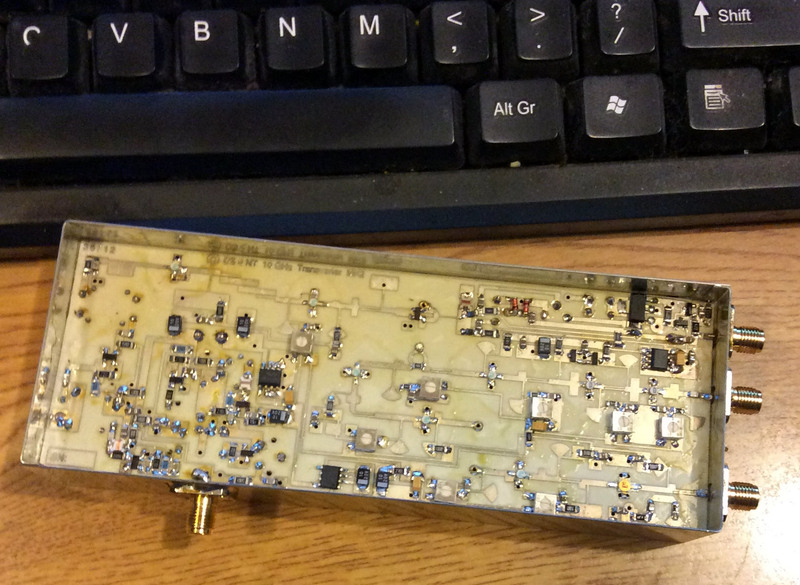 I forgot to change the values of the input pad, so I have no idea if my G4DDK Anglian transverter will have enough output to drive it to full steam. Maybe have to revisit the board and do some radical surgery on the IF input stage once I get it aligned.